I had one goal this summer: to complete the Timberline Trail. You see, last summer I attempted this difficult 40 mile trek around Mount Hood, but ran into some unexpected challenges crossing a severely washed out mountain streambed which left me hanging about 12 miles short of my goal. So this summer I was determined. And on a warm August weekend I grabbed my wife and leashed the dog and we set out to traverse Paradise Park. 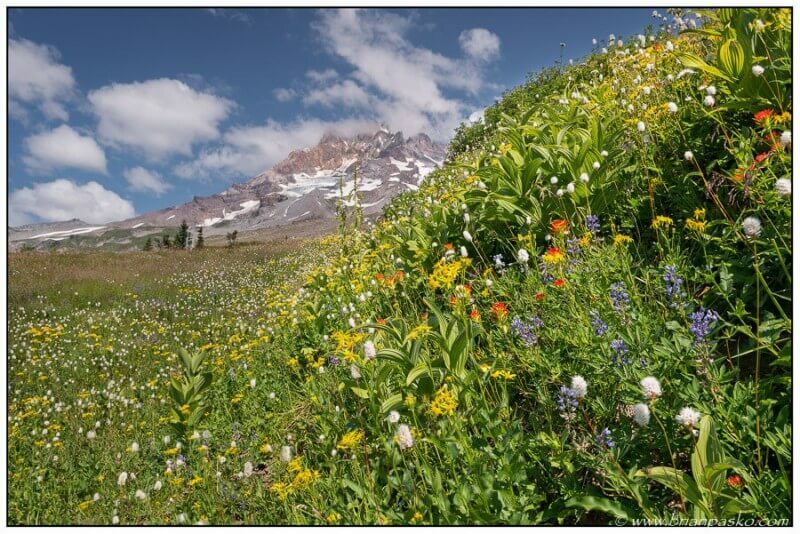 Paradise Park is well know for its display of wildflowers in July and August, and it is a classic Mount Hood hike. 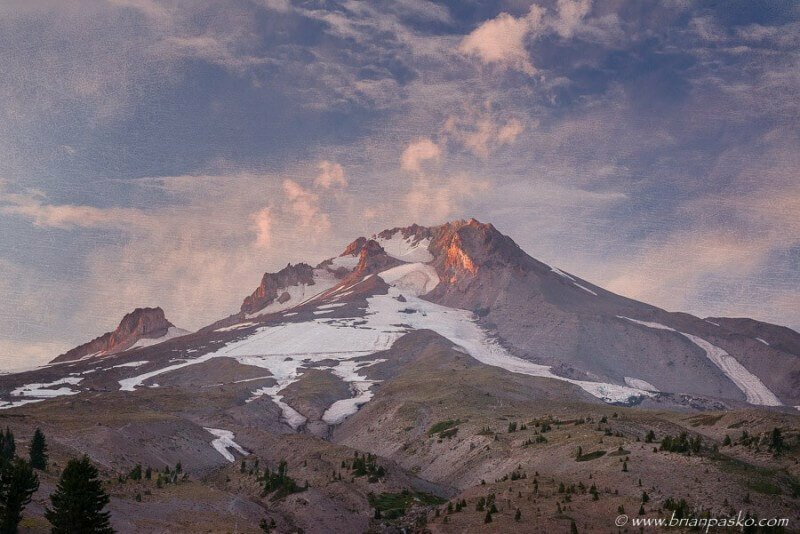 The trail begins at the Historic Timberline Lodge, and provides ample mountain vistas, wildflower viewing, and views of the highlands and foothills of Mount Hood. As predicted, the wildflowers were amazing. But it wasn’t just the vistas that captivated me. 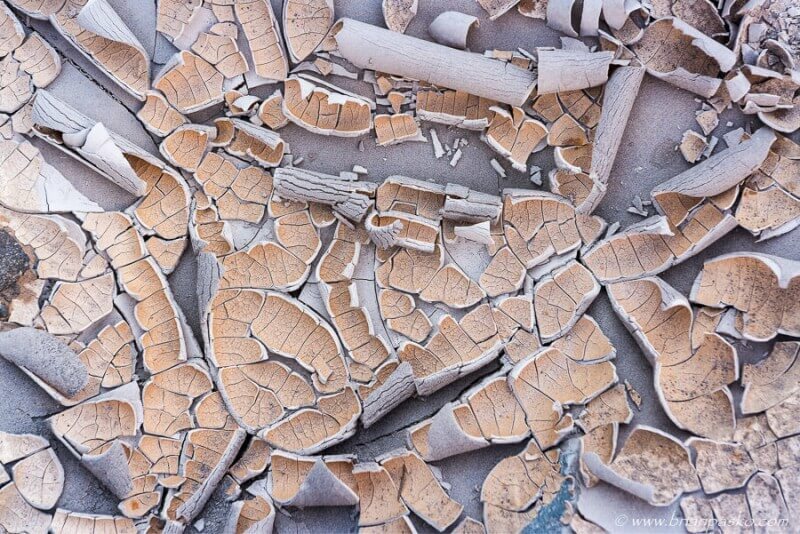 I was fascinated by the textures and patterns that had formed in the Sandy River Basin where the River had receded, leaving patches of mud and sand to dry and crack. And at the end of our hike, Mountain Hood treated us with a spectacular light show as the setting sun kissed her western face. You can click on these images to see larger versions. Also, a reminder that if you like any of these images, prints can be purchased on my website. You can see these images and more in my fine art galleries.